Heading to the big smoke this half term? Hitting the galleries, theatres, exhibitions of London Town? I quite fancy a tad of shopping if the Mudlets will stop whining for half a second (there’s a Sophia Webster sample sale on next week. Get me there, now). And I’m sure as hell gonna need somewhere to eat afterwards. Or before. Or during. Or all of the above. 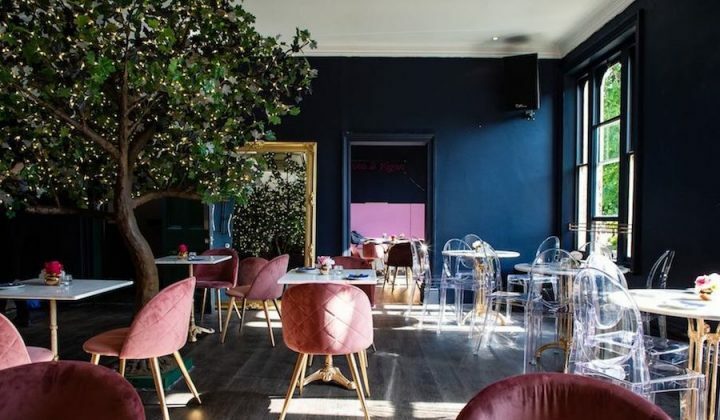 So we at Muddy have rounded up, with the help of award-winning food blogger This Little Piggy Loves Food, otherwise known as the divine Emma, the best – the very best – places to drag the little sprogs to for a bite to eat. Now, we’re not necessarily talking 25 Michelin stars here (um, who’s gonna spend their hard-earned on moaning kids at those sorts of gaffs?) but here’s a round up of the places where they can shovel it down, draw, scream, run around (OK, maybe not those last two) without getting chucked out, and you can kick back with a cocktail or three (and a VERY good burger) and zone them out. 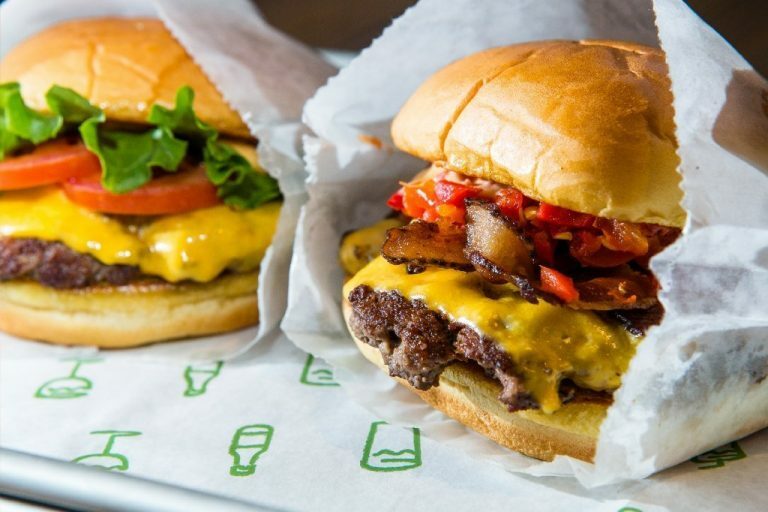 Shake Shack is a firm family favourite. The menu is an American Dream – flavoursome burgers in soft white buns with a variety of fillings including my favourite – a crispy fried Portobello mushroom filled with cheese. There are also hot dogs (I’d avoid the dogs. Not so great, according to one Mudlet), chicken burgers and cheese fries (cheese fries!!!) If you have room for pud the frozen custard is basically a thick milkshake. Go for the one smothered with cookie dough, chocolate chunks and fudge sauce. No calories there, then. This Japanese sushi and steakhouse ups the game from most sushi joints by delivering to your table your very own private chef. Not only will said chef cook in front of you, but if you’re lucky/if you beg/if you offer him some cold hard cash he’ll have a few tricks up his sleeve to keep the kids entertained. 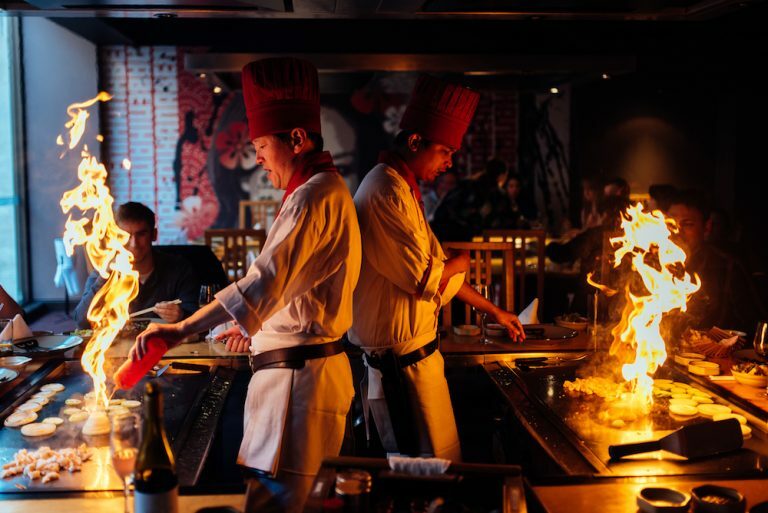 The chefs go through a vigorous training process so they can make a volcano out of onions, flick prawns into their hats and make all kinds of silhouettes with rice. You definitely won’t need an iPad to occupy the kids here. 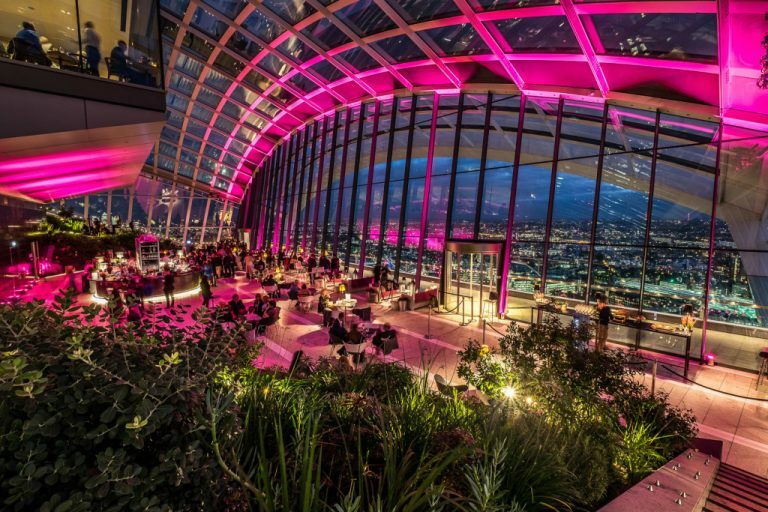 Yeah, yeah we know about the great views (and the queues) from the Shard and the London Eye, but have you been up to the Sky Garden? No? Then book yourself into the Darwin for brunch, my friend. Every weekend 11.30am-3.30pm they serve a brunch where you choose a main from the menu but hang out at the buffet for starters and puds. Well, hello heaven. If you can move afterwards, it’s fun to point out London’s landmarks with the kids and relax in the “garden”. Or I might just get them to play the game on their own while I fall into a cheese-induced coma over in the corner. Afternoon tea gets too slow and too fussy for my brood but that is most certainly not the case at Amorino. The tea starts with a drink such as a mango sorbet frappe or one of ten different hot chocolates. Then, flavoured macaroons filled with ice cream and sorbet beautifully presented in the shape of a flower. Finish off by sampling the gelato – it’s pretty hard choosing which one when they’ve got hazelnut, dulce de leche and passion fruit on offer. 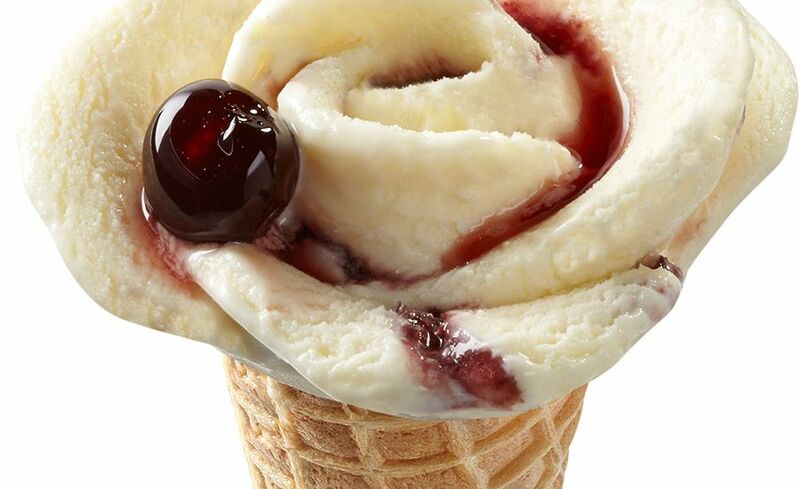 The sorbets are vegan, perfect for those with allergies. There’s only one branch of this fab American pizza joint so far but two more are set to open this year in West London. Pizza Street have totally nailed it with their 20″ pizzas which, if you’re not a total pig (uh, I am, sorry) should feed the whole family. 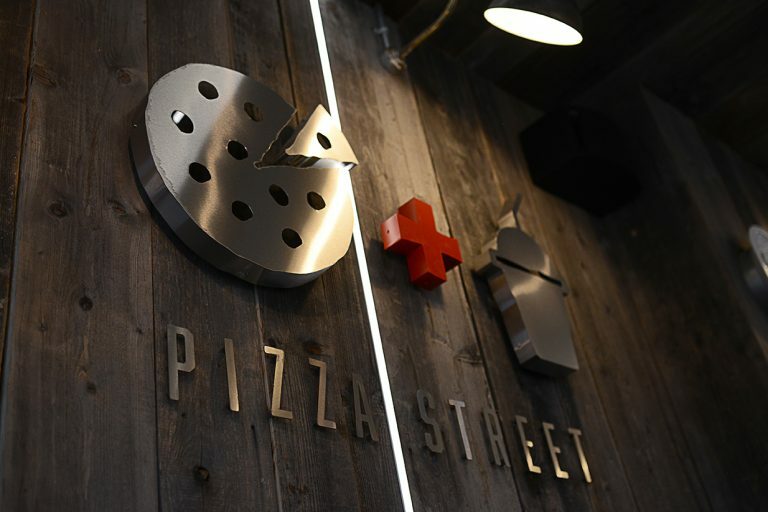 Set up by a Brit and an American living in London with the intention of bringing the best NYC pizza to this corner of the globe, the enormous pizzas are cooked in special ovens with locally-sourced ingredients, washed down with a bottle of brew from independent micro-breweries. Best of all, the company is completely green, recycles 100% of its waste and filters its own water. Oh, how we at Muddy love an ethical company. 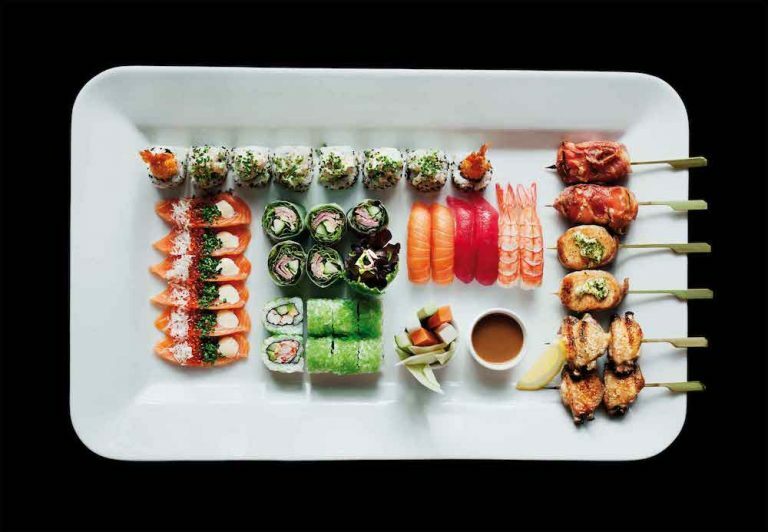 A fantastic place to introduce the Mud-sprogs to Japanese cuisine, Sticks does great mini bento boxes with a combination of simple “sticks” and “sushi” (think chicken meatball kebabs and mini cucumber rolls). The main menu also has kid friendly items such as prawn tempura ebi bites (crispy rice-covered prawns), edamame beans or cheese and ham on a stick (yep, that’s what I said). One of the best things is that this place is super healthy so there’s no excuse not to have pudding or go home via Krispy Kreme. We’ve all heard of this gaff, one of the most renowned kid friendly restaurants in London. Owned by Bill Wyman, American ribs, burgers, nachos, all that sort of stuff, my idea of hell…but stop right there. This place is worth another look. 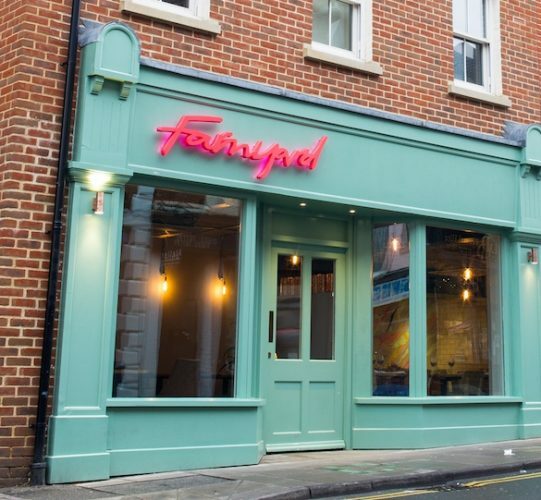 The staff are friendly, the mac and cheese exceptional and – drum roll please – they have freakshakes! The salted caramel shake comes with regular milkshake, whipped cream, salted caramel sauce, salted caramel donut and marshmallows, and there are Oreo cookie ones and Mars bar ones and…stop me now! 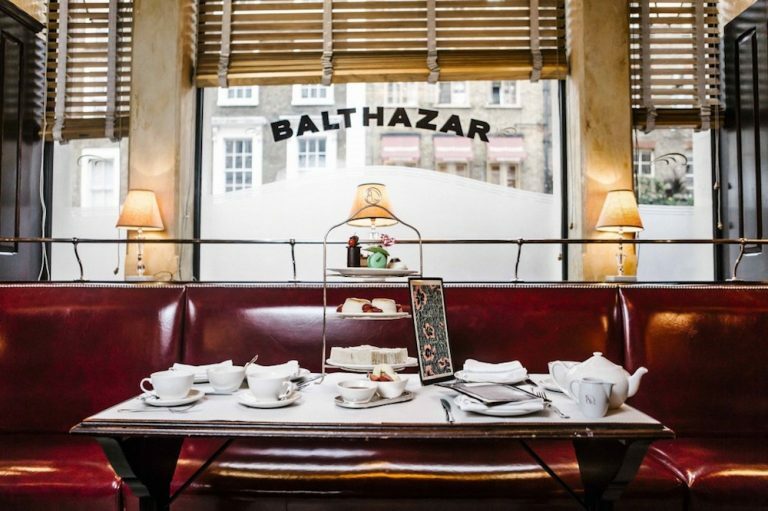 The French (I am told by one who knows) expect children to behave like mini adults and if your little one wants to go for a grown up meal, head to the American outpost Balthazar in Covent Garden. The children’s menu has the usual suspects such as a cheeseburger or mac and cheese but for the more adventurous there is moules frites and duck confit. One of the benefits of Balthazar is that it is open all day and is a really noisy brasserie so if the Mudlets do kick off, no one will notice. I’d go for pasta here rather than pizza but also take a look at the impressive antipasti board, calamari and zucchini fritti. They love kids so I don’t tend to stress if mine are a tad lively here (and that’s a nice word for their behaviour), plus the portions will keep them busy. If you’re at the Chelsea branch, St Luke’s playground is just around the corner if they need to let off some steam. OK, I’m going off piste a little on this one but thank goodness for All Star Lanes at the end of a long day in the city. Gone are the days of bowling with a bowl of salted peanuts and a Coke. At All Star Lanes you can bowl with a cocktail in your hands, before sitting down to a feast of ribs, chicken wings, burgers, build-your-own mac and cheese, salt beef sandwiches, hot dogs and even lobster and steak. Polish it off with a peanut butter and jelly cheesecake pot or salted caramel brownie. Or both, if you fancy. The kids’ menu includes nibbles, a main, a pudding or shake, a soft drink and a game of bowling all for £20. And if you still need ideas, how about Bubba Gump Shrimp Co on Coventry Street, W1? Or try my favourite restaurant Roka (Charlotte Street and Mayfair) which those in the know say has a kids play area and does kid bento boxes (can’t say I’ve ever noticed but then I’ve been down a few Cosmopolitans when I’ve been there) or Goat on Fulham Road (in my day it was The Goat And Boots) which runs Kids Club Sunday on, er, Sundays 12-3pm where Froggle Parties professionals will lure the Mudlets away so you can eat off that hangover in peace. 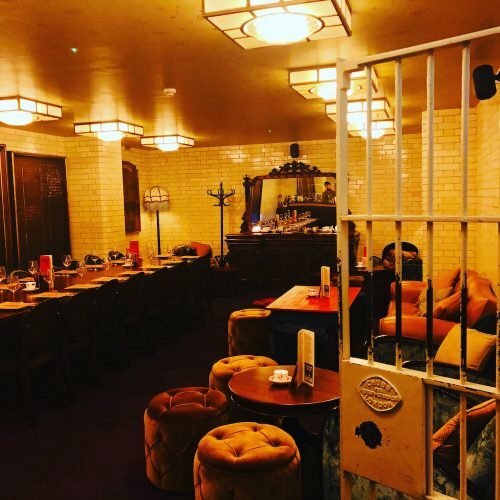 For more grown-up ideas of where to pile on the pounds, sorry, enjoy fine dining/a romantic meal/the coolest places to go in town check out Emma’s blog This Little Piggy Loves Food. She also has recipes, diet tips and health and fitness which, quite frankly after all this eating, I’m gonna need.